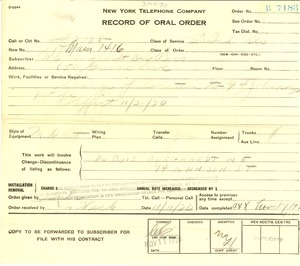 Concerning the change of location of phone service to 94 Johnson St. in New York. 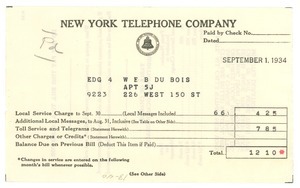 New York (N.Y.) - Billing Du Bois $12.10 in local service and telegram charges. 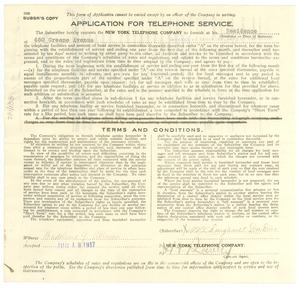 New York (N.Y.) - Subscriber's copy of application for residential telephone service at 650 Greene Avenue which indicates the annual rate, the telephone number and the connection date of June 23, 1917. Subscriber is W.E.B. Du Bois.